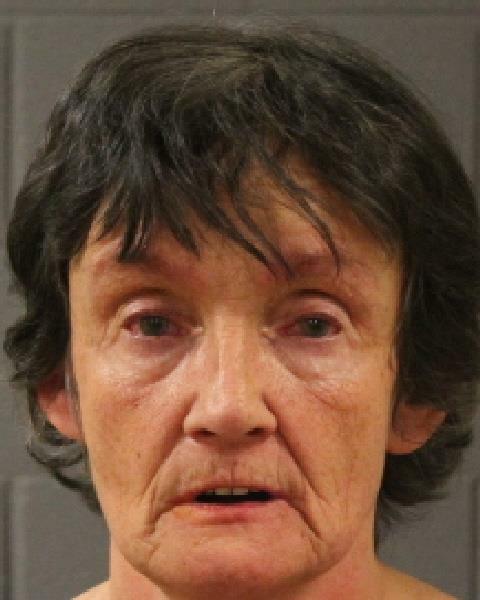 ST. GEORGE — A 57-year-old woman was arrested Monday after reportedly going on a shopping spree in Washington County using counterfeit money. Officers responded to the Red Cliffs Mall at 1770 E. Red Cliffs Drive on a counterfeiting complaint at the Bliss clothing store, according to a probable cause statement filed by the St. George Police Department in support of the arrest. A woman, identified by police as Melanie Jane Shatto, of Las Vegas, Nevada, had paid for her items at Bliss with a counterfeit $100 bill, according to the statement. Upon further investigation, police learned that Shatto had also passed counterfeit bills at J.C. Penney and Dillards located in the mall, the report stated. While investigating, police found a receipt in Shatto’s possession for Home Depot located at 725 W. Telegraph Street in Washington City. Police responded to Home Depot and collected another counterfeit $100 bill that had been passed by Shatto earlier that day. Shatto maintained she didn’t know the bills were counterfeit and then requested an attorney, according to the statement. Shatto was arrested and transported to the Washington County Purgatory Correctional Facility. The Washington County Attorney’s Office filed an information in 5th District Court accusing Shatto of four third-degree felony counts of forgery. My guess is she’s going to get slapped with thousands of dollars in court costs, fines, and spend YEARS in jail because she passed a few fake bills. I’m not condoning it, I’m just saying…..
Maybe should claim that her religious liberties have been infringed upon? Smacked wrists for time served? Hey if she’s FLDS she’s in the clear….next!